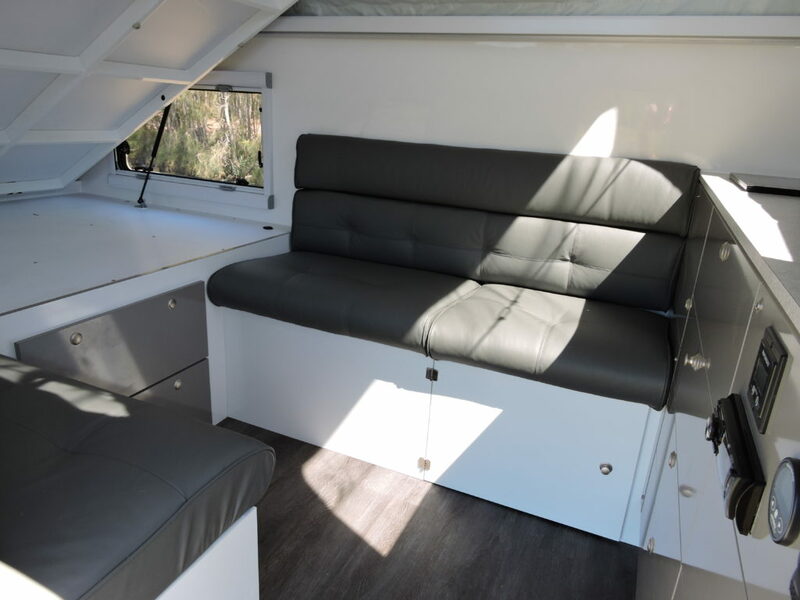 The secret to the Renegades success is the same as our popular Scorpion model the north-south queen bed which cleverly lifts into the roof space during the day. 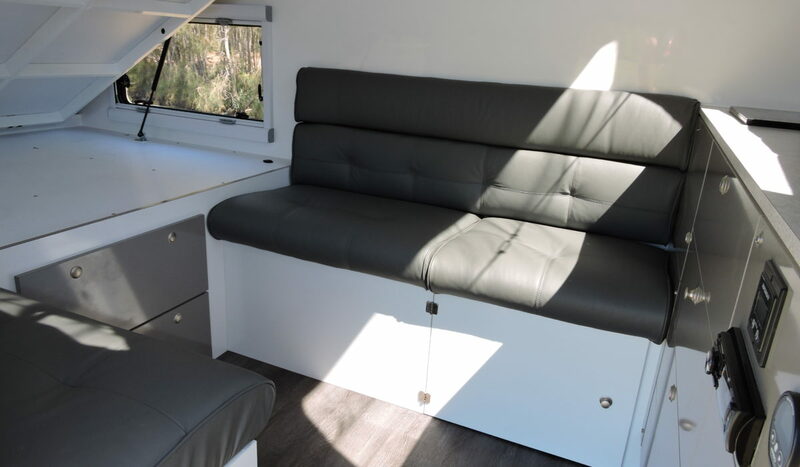 In doing so, it exposes a comfortable roomy 4-seater lounge dinette, making the best use of the available space. 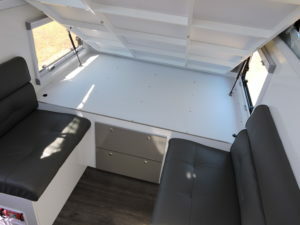 Due to the extra body length we have also been able to fit a great rear drawer cabinet with a wider bench which includes an internal sink as standard and opens up the options for internal fridges, internal cooking etc. 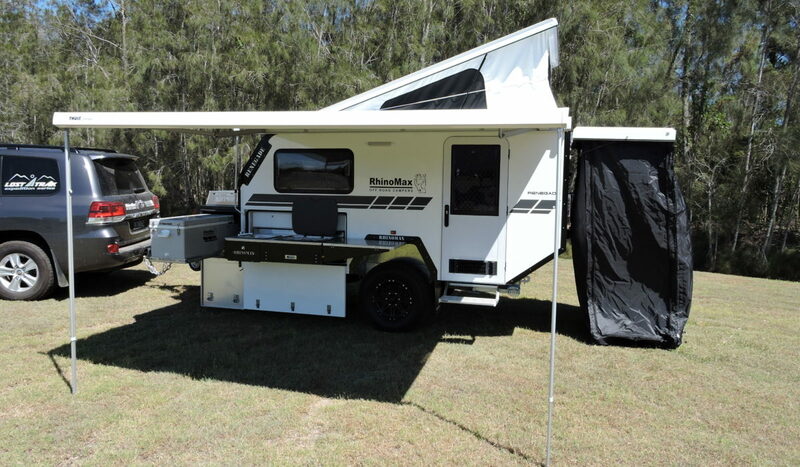 100% Australian made and built from the ground up all within the walls of our workshops in Queensland. 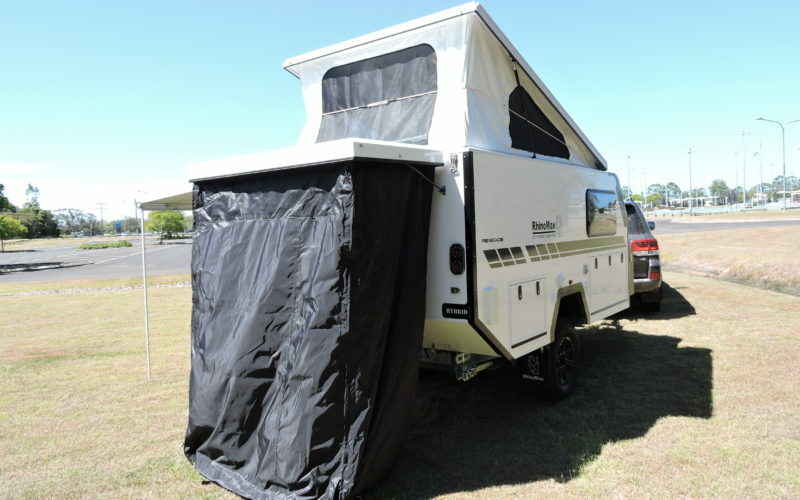 Constructed with fiberglass composite body & roof panels this construction method offers enormous advantages, incredibly strong, extremely lightweight, great thermal insulation properties, superior water resistance, hail resistant, easy cleaned, low maintenance and easy to repair. 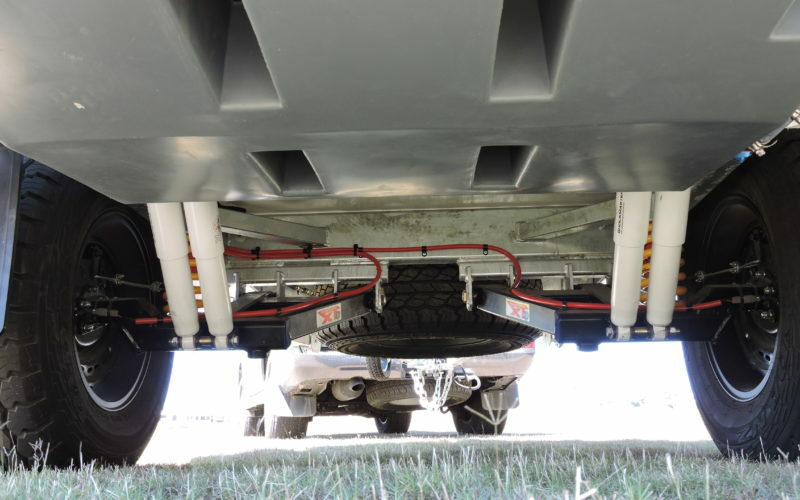 Hot dipped galvanised chassis with full length 150mm x 50mm drawbar rails for maximum strength plus an advanced integrated sub-frame for reduced weight. 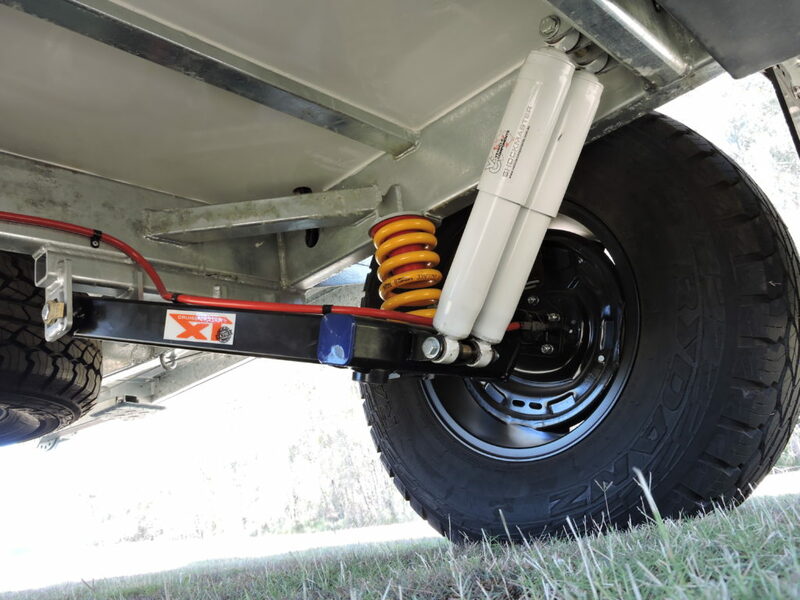 Industry leading Cruisemaster XT 2200kg all-terrain independent suspension system with twin shocks. 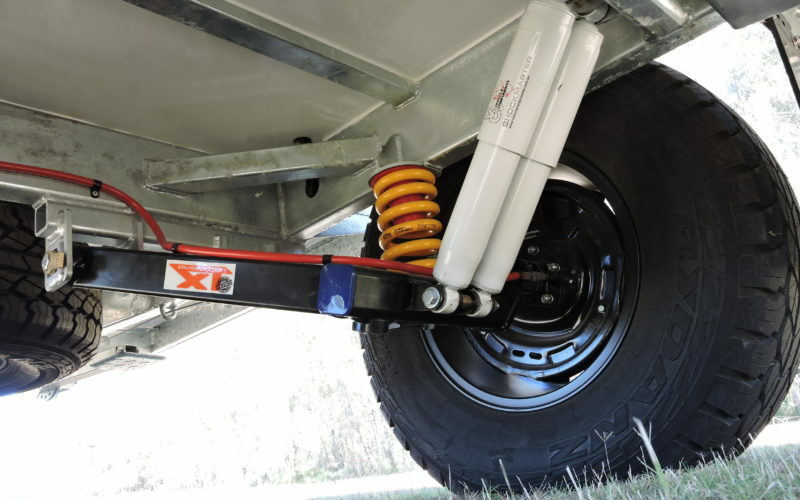 Australia’s number one off road suspension system. 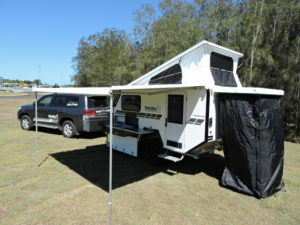 The Rengade is quick and easy to set up, drop down the stabaliser legs, wind out the awning and slide out the kitchen. 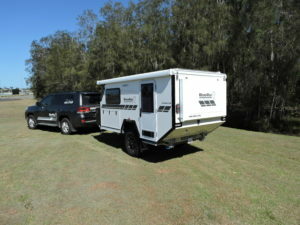 Push up the easy lift roof and your done all in just a few minutes. 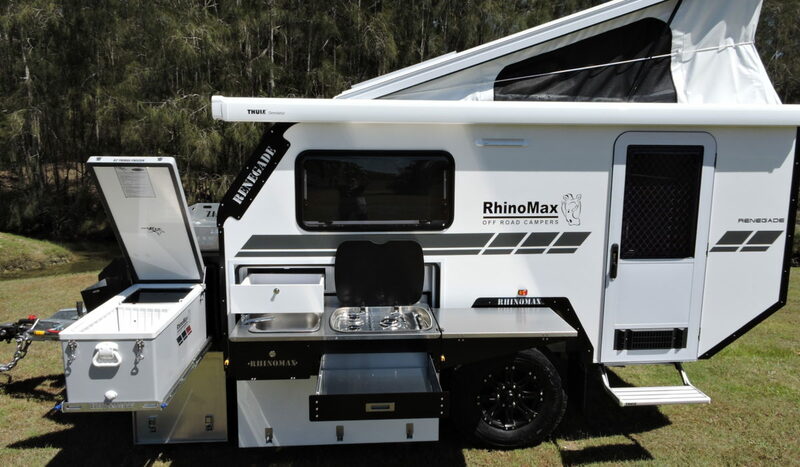 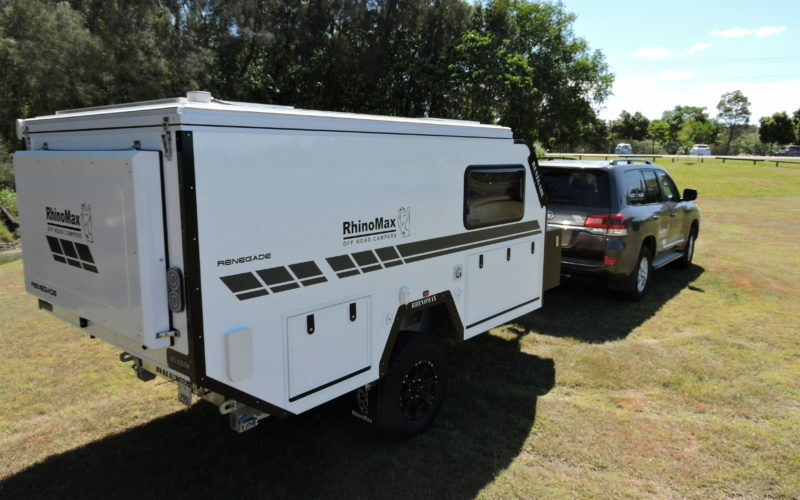 As with the rest of the Rhinomax hybrid range the Renegade is constructed from 30mm thick high-density fibreglass composite walls and roof panelling, which create a high strength body with superior insulation qualities. 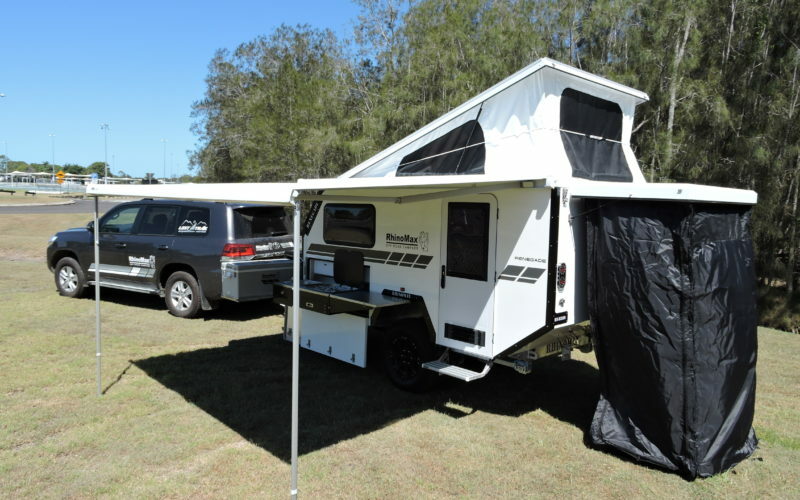 Step into a Renegade on a hot day and it immediately becomes evident how much cooler it is on the inside. 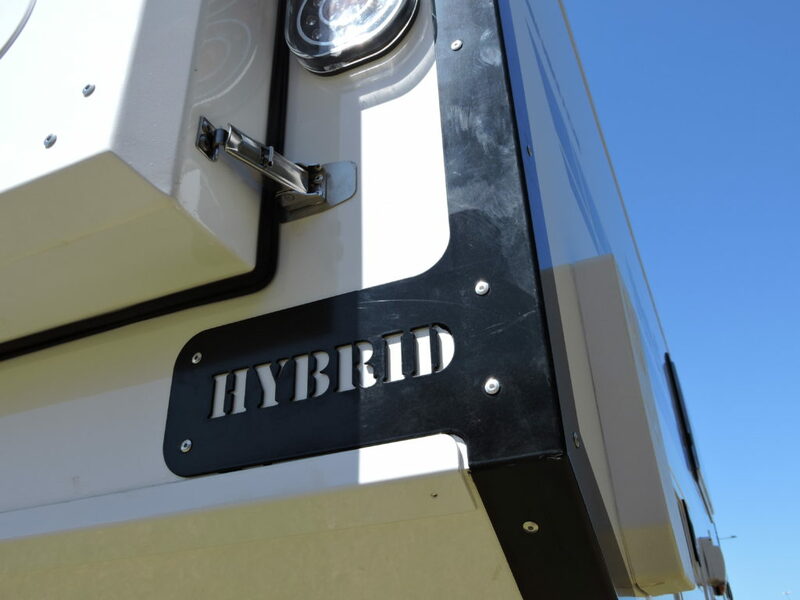 The Renegade combines a light tare weight (1520kg) with a low-ball weight (115kg) making it one of the lightest hybrids in its class. 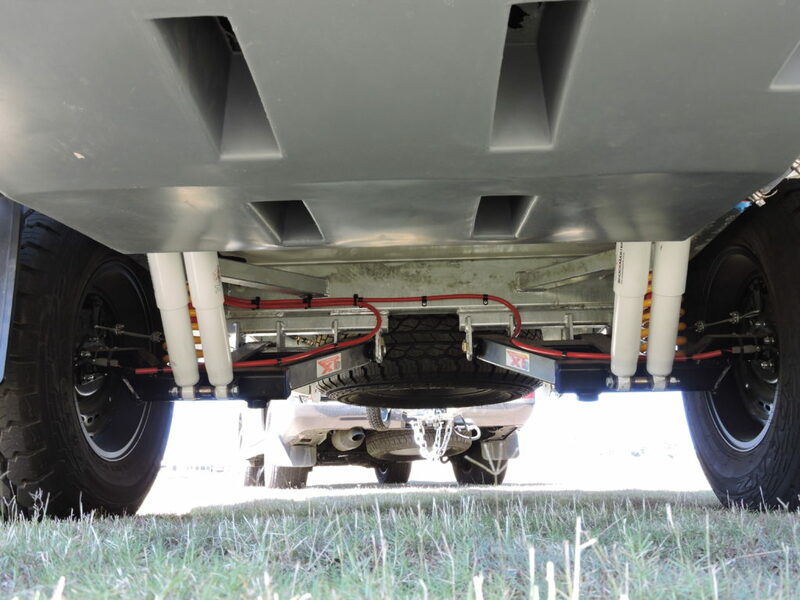 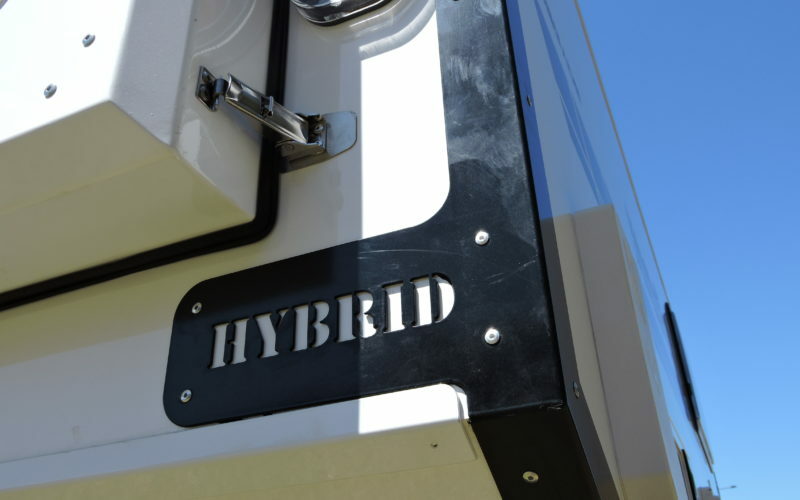 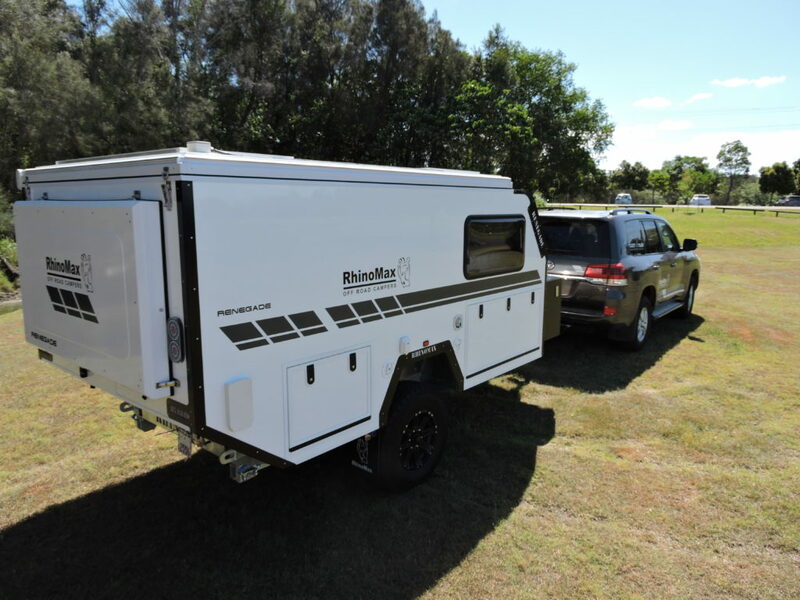 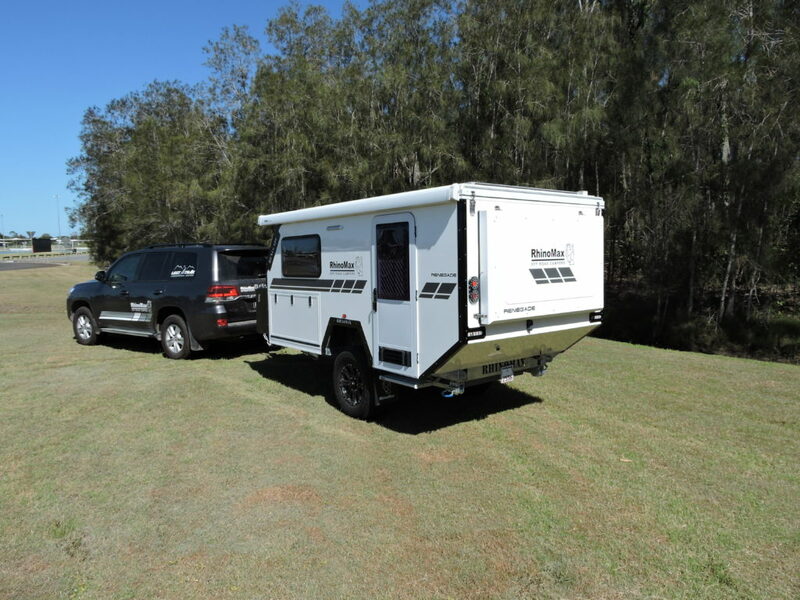 Lightweight, agile and with a small footprints its easier to tow than most camper trailers. Equipped with a comprehensive 12-volt electrical system incorporating the Lithium compatible Enerdrive battery management system, a DC to DC charger, 2 x 120amp batteries, 1000-watt pure sine wave power inverter & 320-watts roof mounted solar panels mean you can extend your time off the grid. 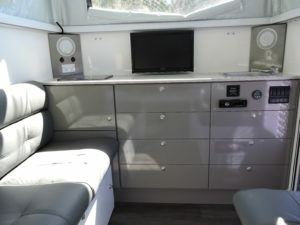 There is also a complete 240-volt power system installed for when you have the opportunity to connect to mains power. 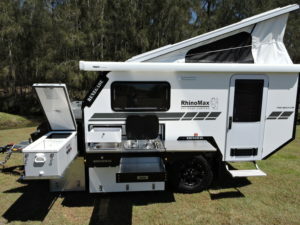 Truma gas hot water system connected to the kitchen and shower comes standard and has proven to be one of the best in the industry, it is Australia’s number one RV hot water system. 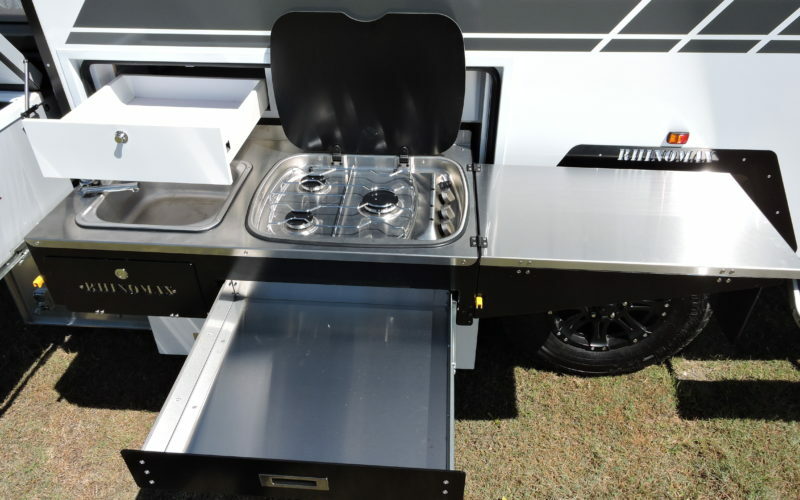 With a water capacity that can be boosted up to 195lts and an external water draw facility which gives you the option to draw water direct from a creek, and advanced lithium power system options extended adventures off the grid are now possible. 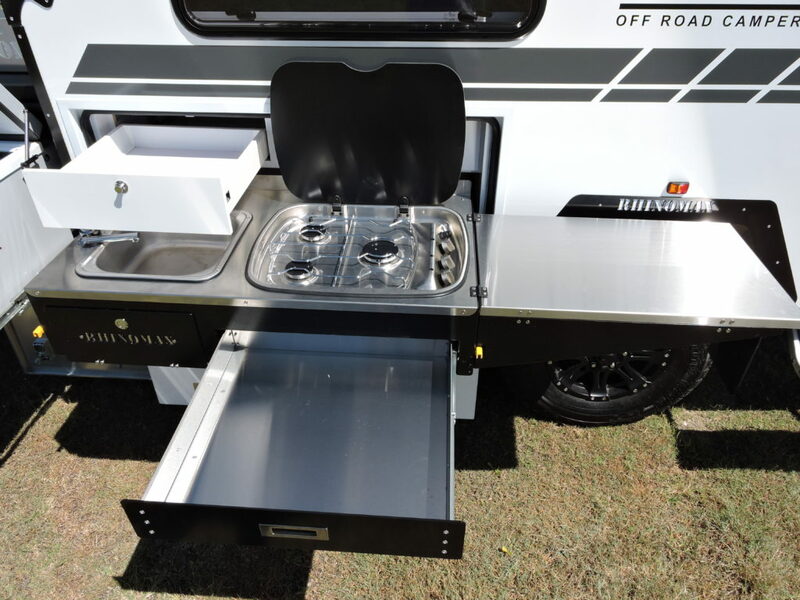 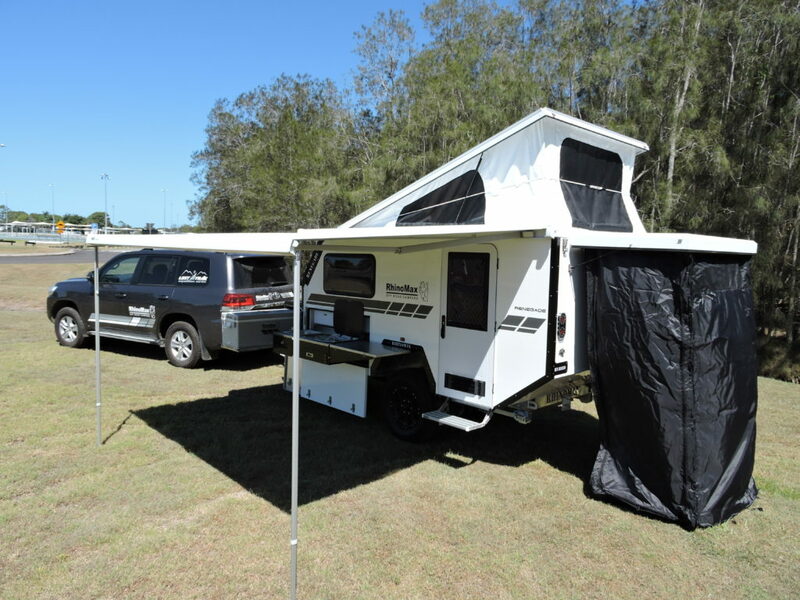 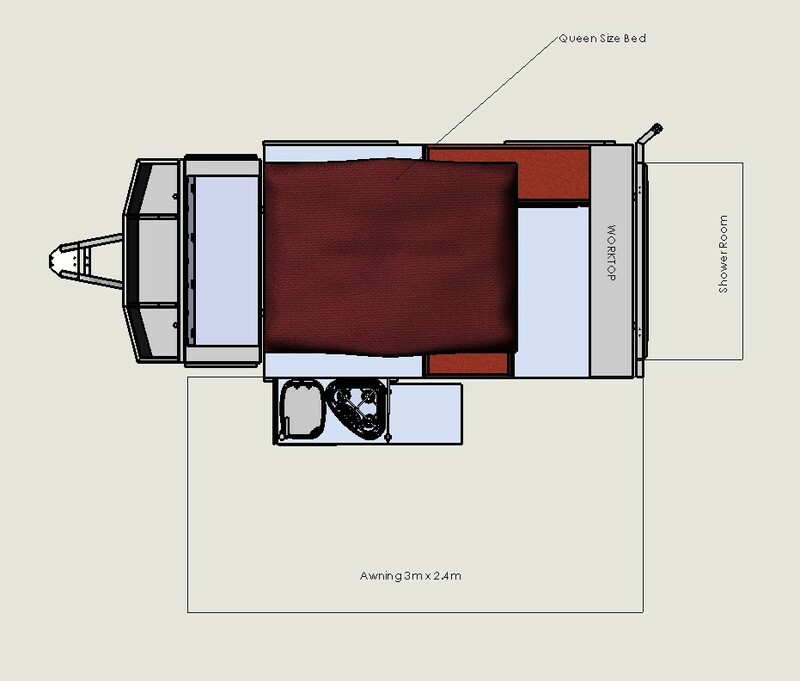 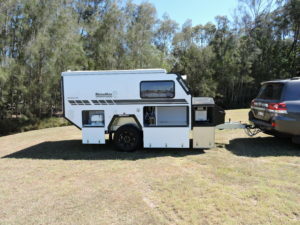 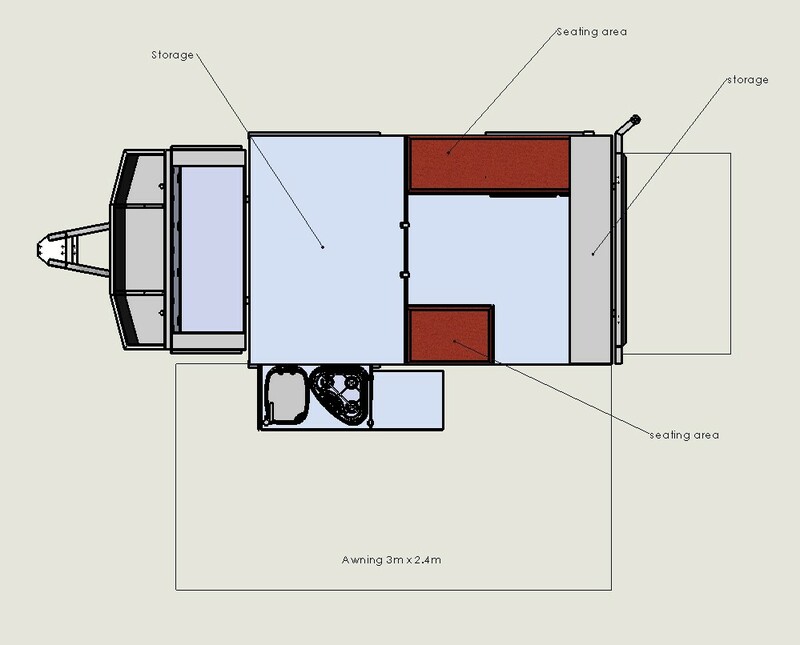 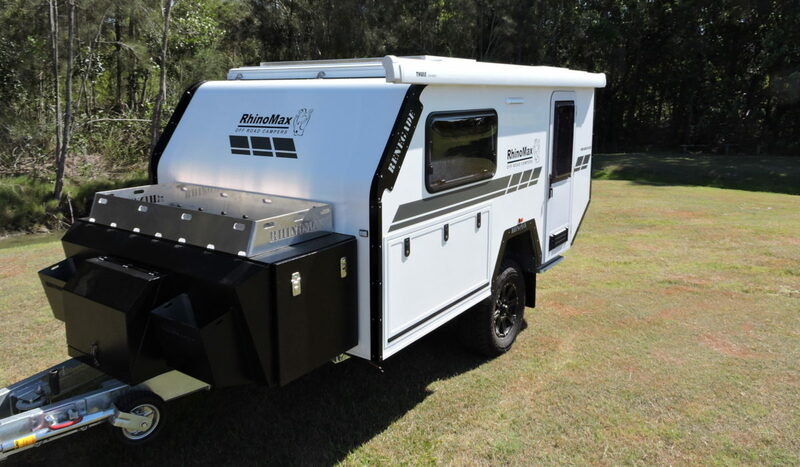 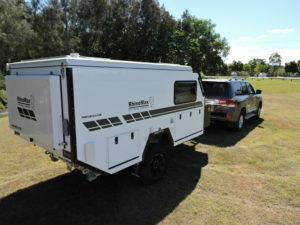 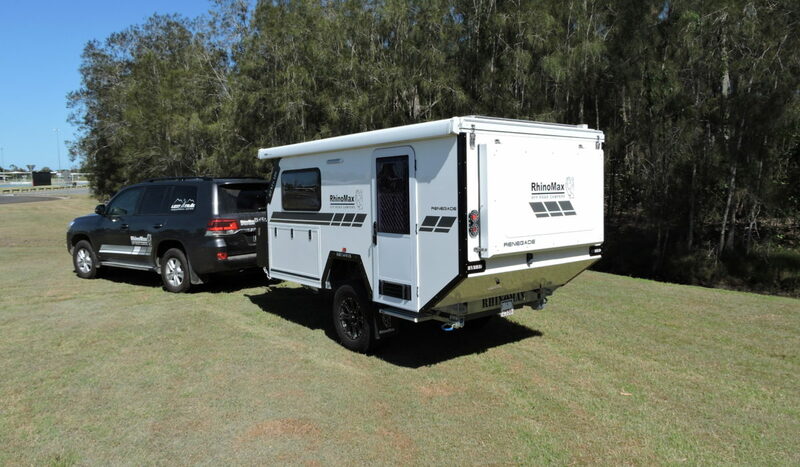 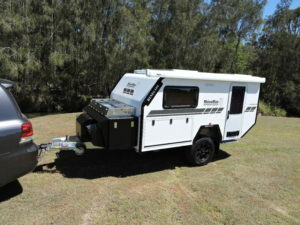 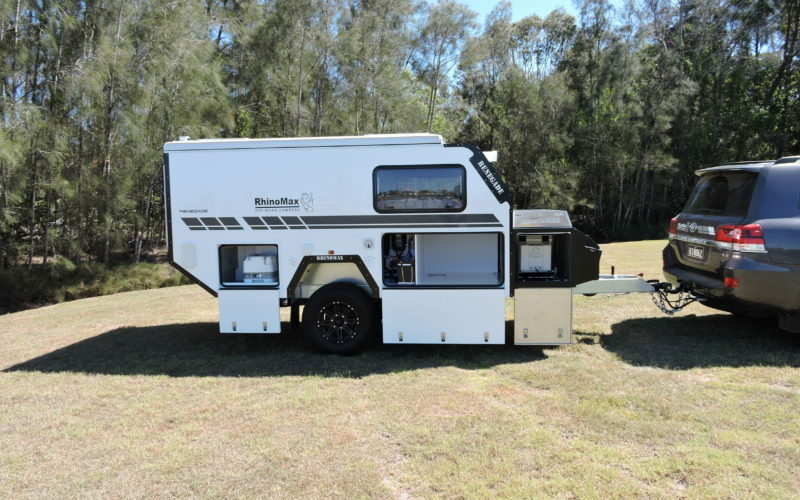 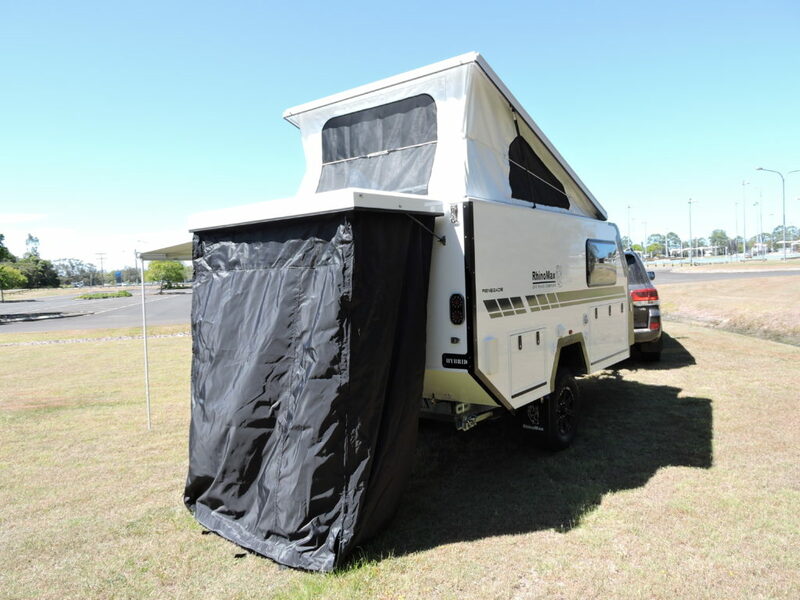 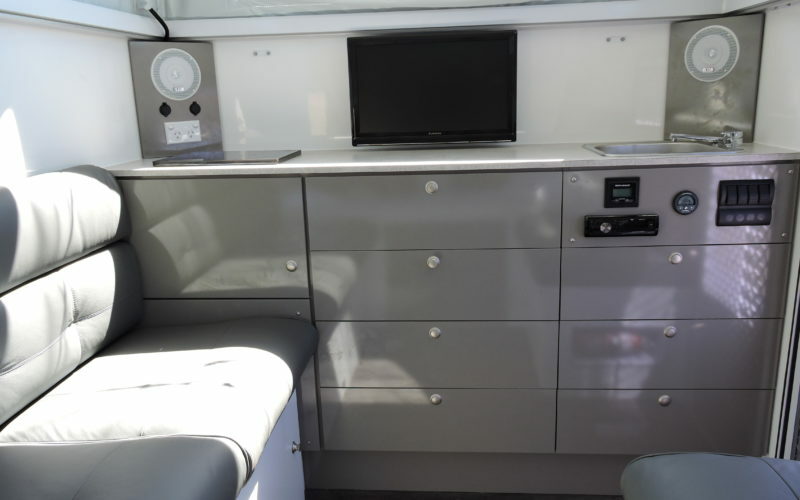 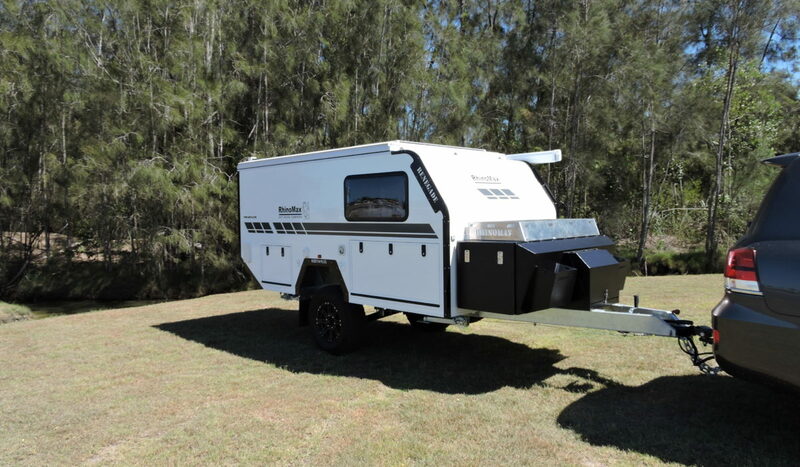 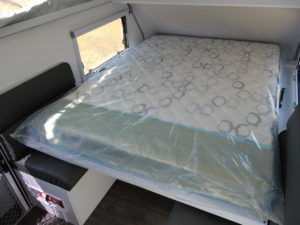 All our campers come with an extensive list of equipment as standard but because we custom make them here in Australia we can also customise your camper with any options or additions that you require.